There is nothing prettier than a gorgeously wrapped gift. I prefer the shabby chic look myself, but really, when those packages all wrapped up with ribbons and string are standing under the Christmas tree, I can't help but get excited. Wrapping paper and accessories are expensive though, and the nicer you want your gifts to look, the more expensive it gets. 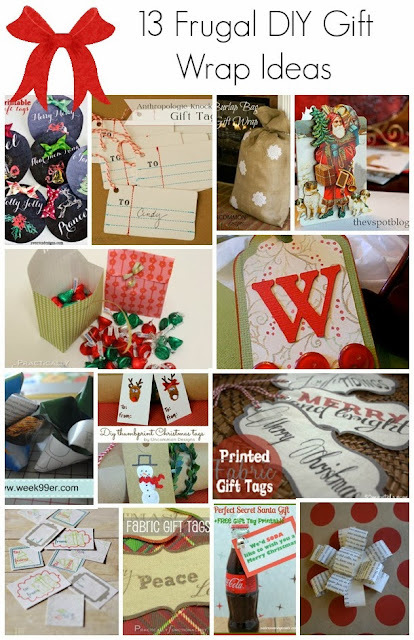 That's why these 13 frugal DIY gift wrapping ideas are so great! You can get beautifully wrapped gifts at a fraction of the price! Thanks to contributor Heather for this great post of DIY ideas! 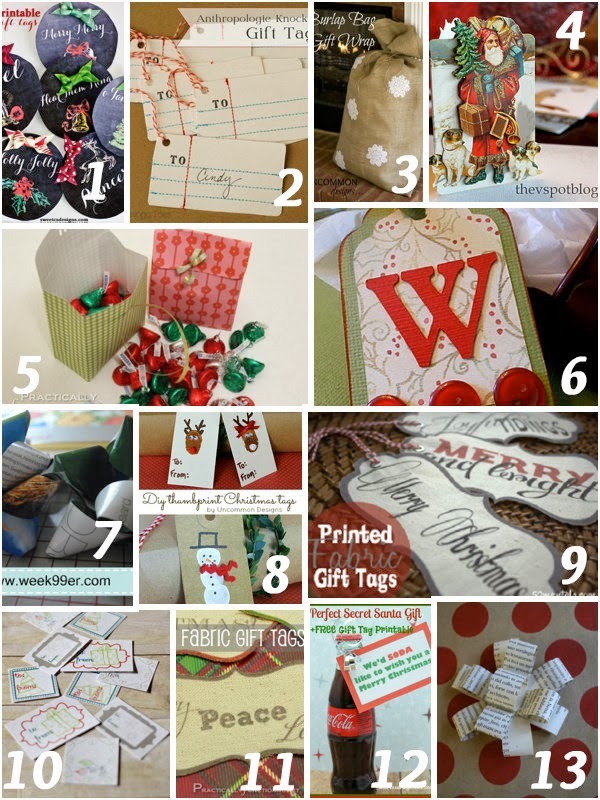 I'm partial to the scrapbook tag, but I also love the printing on burlap. That's awesome! The Santa Soda gift tag is really cute. It would be great for neighbor gifts without spending a lot of money. Oooh, great ideas! I love DIY wrapping - it all looks so much prettier and more thoughtful than store-bought. These all look like a ton of fun! I'm especially partial to the recycled paper bow and would love to use pages from a favorite book or song lyrics. I love those chalkboard printable gift tags – and I haven't wrapped any gifts yet so there's still time to use them! I got lazy and bought these really "diy" looking ones at the store - I need to make my own next year for sure! !